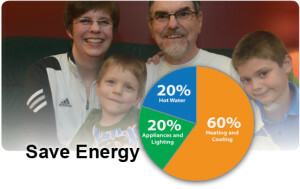 There are quite a few things you can do in your home to help you save on energy costs. Your home can be made more comfortable while reducing your costs and helping the environment. Many of these changes can be made simply and any cost outlay is often recovered by the savings you are making in your monthly bills. Here are some ideas of changes you can make to your home to start reducing the cost of your electricity bill. Sealing the Gaps — Gaps in windows, doors, floors and ceilings can let air into your home that may make it harder for your cooling or heating systems to function correctly. Sealing your home can help stop the amount of airflow that is leaking air both in and out. Take a look around these areas in your home and seal any gaps you find. If you have older windows and doors you may want to look into replacing them with new energy efficient models from Lyndhurst Lumber. Programmable Thermostat — Changing your old thermostat out for a programmable thermostat an help you adjust your heating and cooling needs throughout the day. In the summer you can set your thermostat to cool down the house in the early hours of the morning, have it set higher during the day when no one may be home, then have it cool back down for the evening hours. In winter you can program for the opposite. Making this one simple change can reduce your energy costs significantly. Insulating Water Heaters — Covering your water heater with insulation is another quick and cost effective tip. You can buy specific insulating blankets or use any insulation you may have around the home. This insulation will help keep the water inside the tank hotter without you having to turn the temperature setting up. Lighting — Changing out the old incandescent light bulbs in your home can quickly save you money. Using energy efficient light bulbs such as LED, CFL and the new energy saving incandescent can give you up to 25% in energy savings. Upgrading Appliances — If you have appliances in your home that are aging, then you may want to consider upgrading them for new energy efficient appliances. Purchasing appliances that have an Energy Star rating can give you new appliances that work more efficiently, saving you money and helping the environment. Adding Blinds — The hot Phoenix sun beating straight into your home can heat up a home quickly. Installing quality blinds or shutters can block the Phoenix sun, reducing the heat that is coming into your home and reducing the need for low thermostat settings. As the sun moves and the air starts to cool, you can easily open your blinds to let the cooler air into your home. 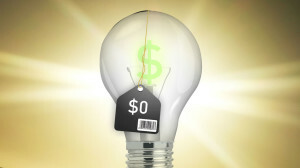 This is a relatively inexpensive option to help you save money on your electricity bills. Making just a few of these changes in your home can lead to significant savings on your next electricity bill. I’m Adam. Content is king, so the saying goes. Do you want to check out some more wonderful piece of writings like this, then check out this tech blog and you’ll find many more tech articles that will make your day.